Please find testimonials from just some of our satisfied customers below. Please feel free to email us your own feedback I will then copy and paste to the website. Please follow the same layout as below. Many thanks! 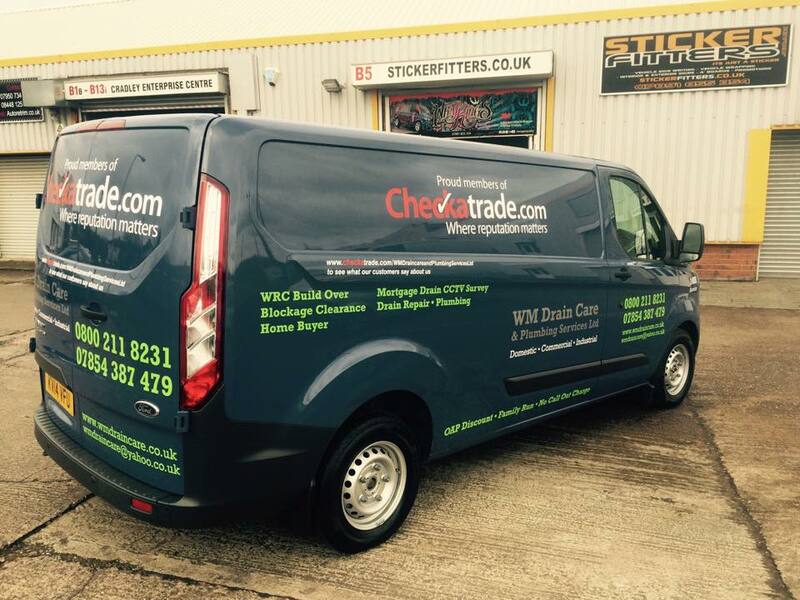 Would like to thank Chris for his quick and punctual service. We cannot fault West Midlands Drain Care for the service that it provided us in our time of need. 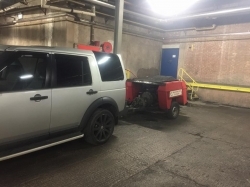 Chris turned up at the time he said and got straight to work after we had showed the problem that we was having with our drains He cleared it and informed us what the problem was and what we could do to prevent this from happening again. Very pleasant young man would not hesitate to call for his services again. I had some foul smelling water running down my driveway. I called west midlands drain care & plumbing services and was very happy with the information I was given on the phone and also how quick they turned up to resolve my problem it was cleared before I had finished making coffee for them. Very happy with cost and service. We called at 4.30 on a Sunday afternoon - Chris arrived within 30mins and the problem was all sorted by 6.30pm. We will definitely use again and would highly recommend"
We called Chris out on a Sunday evening for an emergency: a blocked kitchen sink drain. He came within 20 minutes and promptly assessed the situation, cleared the blockage and promised to be back the next day with a part that needed changing to avoid future problems. Chris was back, as promised, the next day and replaced the part. We're very pleased with his efficient work and most pleasant personality. Fees for the emergency call-out and the replacement part were very reasonable. We'll have him back again for any future plumbing needs. Chris at West Midlands Drain Care & Plumbing Services Carried out some pipe installation for us so we had isolation for our mains water and extra taps throughout the garage. We would recommend this company as he offers affordable work and quick response. We had Chris to replace a very old cast-iron SVP. Job was very reasonably priced. He was quick and efficient and left the site very clean, even took away old pipe. A really nice guy and very helpful and reliable. Will definitely use again. Highly recommended. It's always a worry to call a company you haven't used before and know that the job will be done properly. 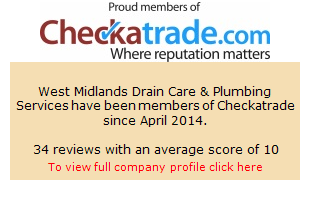 That's why it was such a pleasant experience dealing with West Midlands Drain Care. Chris arrived at the time he said and had a very pleasant manner. He dealt with and fixed our blocked drains very efficiently and also cleaned up any mess created. Overall, excellent, reliable service at a reasonable price and wouldn't hesitate to recommend.